Diversity, inclusion, acceptance and understanding are core Canadian values. We believe that they define who we are, and we are very proud that they do. And yet, in what we all hold to be a remarkably open and inclusive society, transgender people face an extreme level of exclusion, discrimination, prejudice and violence. The third amendment to the Criminal Code will establish that hatred on the basis of gender identity or gender expression is an aggravating factor in sentencing for a criminal offence, along with other listed categories like race, colour and religion. 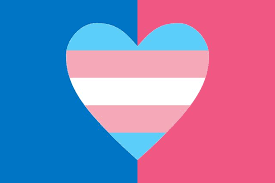 Research projects by the Ontario Trans PULSE Project and by Egale, and the 2015 report Being Safe, Being Me, provide stark and startling evidence of what trans people face in Canada today. These studies found that, of those transgender people surveyed with respect to employment barriers and economic marginalization, 13 per cent had been fired for being trans; 18 per cent were turned down for jobs because they are trans; over 70 per cent are earning less than $30,000 per year; and their median income is $15,000 per year. This is despite the fact that they are highly educated: 70 per cent have some form of post-secondary education, and 44 per cent have post-secondary undergraduate and graduate degrees. With respect to discrimination in medical care: of those people surveyed, 10 per cent who had accessed an emergency room were refused care because they were trans; 21 per cent avoided emergency at one time or another specifically due to being trans; and 40 per cent experienced discriminatory behaviour from a family doctor. With respect to bullying and violence: of those studied, 20 per cent had been physically or sexually assaulted; 34 per cent had been verbally threatened or harassed; and 24 per cent reported being harassed by police. With respect to mental health and suicide: of those studied, more than 50 per cent presented symptoms consistent with clinical depression; 77 per cent reported that they had considered suicide; 43 per cent had actually attempted suicide and — this is striking and startling — of those, 70 per cent had done so at 19 years of age or younger. With respect to youth, of those studied: 90 per cent reported being subjected to transphobic comments frequently, often daily; 23 per cent of students reported that teachers directed transphobic comments at them; 25 per cent of students reported physical harassment; 36 per cent had been physically threatened or injured in the past year; 9 per cent had been threatened or injured with a weapon; 33 per cent said they had been bullied through the Internet in the past year; and trans youth are more than twice as likely as their non-trans counterparts to consider suicide. ..if a trans person applies for a bank account or a passport, they should receive the same level of respectful service as any other Canadian. Among the many frustrations experienced by transgender people, their families and their supporters are the seemingly endless delays in getting their rights and protections enshrined in legislation. It has not been for lack of trying. MP Bill Siksay introduced a bill dealing with trans rights in the House of Commons in 2005 and then again in 2009. His Bill C- 389 was passed by the House of Commons in February 2011. It then arrived in the Senate, where it died on the Order Paper without coming to a vote. In September 2011, over five years ago, MP Randall Garrison developed and presented Bill C-279 in the House of Commons. In 2013 this Bill was passed in the House of Commons with Liberal, New Democrat and some Conservative MP support. Over the subsequent two years, it advanced to third reading twice in the Senate. Both times it died there, without even being allowed to come to a vote. This past November, the House of Commons passed Bill C-16 An Act to amend the Canadian Human Rights Act and the Criminal Code. This Bill is designed to support and facilitate the inclusion of transgender and other gender-diverse people in Canadian society and to provide them with enhanced protection against criminal aggression. It passed third reading with Liberal and New Democrat support, and support from a very significant cadre of Conservative MPs. Now Bill C-16 is before the Senate of Canada. I am pleased to be the sponsor of this legislation in the Senate and will be working to advance it through the legislative process. A transgender person simply knows they are of a gender different from the one assigned to them at birth, the one indicated by the physical and physiological features of their body. Why is Bill C-16 so important? The Ontario Human Rights Commission notes that there are arguably few groups in society today who are as disadvantaged and disenfranchised as the transgender community. Transgender people suffer profound alienation and discrimination in their daily lives. They live in fear of frequent, often brutally violent, physical and verbal bullying. They live in fear of sexual assault. They suffer significant economic discrimination and discrimination in housing and medical care. Their circumstances have led to extreme levels of suicide and suicide attempts. They need our help. Before describing what the Bill will do, it is important to understand key terms used within it. The term “gender identity” refers to an individual’s internal and personal experience of gender — their sense of being a man or woman, both, or neither. “Gender identity” refers to who a person is in their very soul. For most people, the sense of self as being a man or woman aligns with their anatomical and biological characteristics. For others, it does not. These people are referred to as transgender or trans people. “Gender expression” refers to how people publicly present their gender, through behaviour and outward appearance such as clothing, hair, body language and chosen name. A transgender person simply knows they are of a gender different from the one assigned to them at birth, the one indicated by the physical and physiological features of their body. They cannot live honestly or comfortably in their birth- assigned gender, where they are literally and profoundly uncomfortable in their own skins. If they can overcome their fear, they transition to their true gender identity. To do otherwise is to live in a continuous, often agonizing, confounding and alienating condition. In some sense, it is to live a lie. No one should ever have to do that. What does this bill do? Bill C-16 will make a number of changes to the Canadian Human Rights Act and the Criminal Code designed to protect transgender people. The Ontario Human Rights Commission notes that there are arguably few groups in society today who are as disadvantaged and disenfranchised as the transgender community. To begin, the Canadian Human Rights Act applies to the federal government in its role as employer and service provider to Crown corporations, the postal service and the federally regulated private sector, including telecommunications companies and charter banks. Bill C-16 will amend the Canadian Human Rights Act to add two prohibited grounds of discrimination: gender identity and gender expression. As a result, it will be explicitly discriminatory to disadvantage people because of their gender identity or expression in any workplace, in hiring and promoting, and in the provision of goods, services, facilities and accommodation by or in entities under federal jurisdiction. If the grounds “gender identity or expression” were added, this would mean that a trans person working for the federal government, or one of the federally-regulated employers, could not be passed over for a job or promotion simply because they are trans. It would also be unacceptable to harass a trans person because of their gender identity or expression, turning their workplace into a hostile and poisoned environment for reasons that have nothing to do with their skills or ability to do their job. Similarly, if a trans person applies for a bank account or a passport, they should receive the same level of respectful service as any other Canadian. The bill will also amend the Criminal Code in three ways. It will expand the list of identifiable groups that are protected from hate propaganda by adding “gender identity” and “gender expression” to the list. Second, there are three crimes of hate propaganda in the Criminal Code. Their purpose is to eliminate extreme and dangerous speech that could incite others to violence against groups listed in the Code. The amendment proposed by Bill C-16 would add gender identity and gender expression to this list. encourage prosecutors and law enforcement offers to be aware of the particular vulnerability of trans people. Passing this bill will send an important, powerful and hopeful message of inclusion and acceptance to a group of Canadians who experience alienation and discrimination that most of us cannot even imagine. It will elevate awareness of the plight of transgender people and inspire Canadians’ compassion.